DeWalt expanded its offering of professional-grade battery-powered Outdoor Power Equipment at GIE+EXPO in Louisville, Ky., Oct. 21-23. 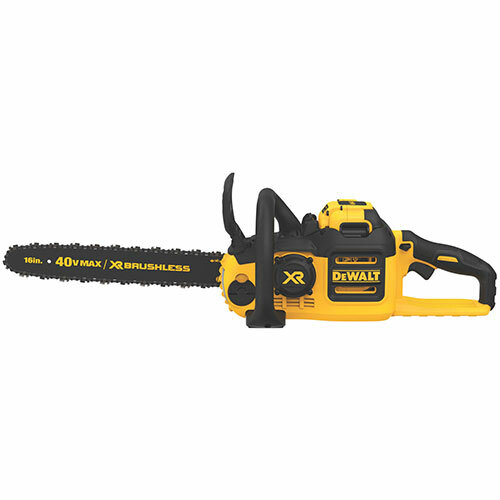 The expansion adds a 40v Max Brushless Backpack Blower and 40v Max Brushless Chainsaw to the existing 40v Max system from DeWalt. The 40v Max Brushless Backpack Blower generates up to 450 cubic feet per minute (CFM) of air volume at 140 mph. It will be available with one or two of the new 40v Max 7.5Ah Lithium Ion batteries. 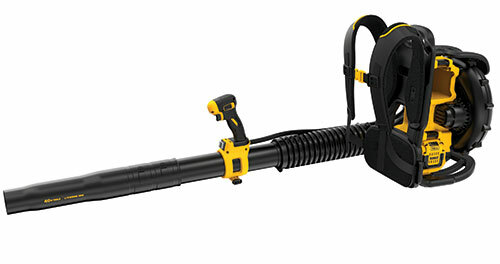 Only one battery is required to operate the tool, but the backpack blower features two battery wells for extended run time. The activation switch on the handle allows the user to choose which battery to pull energy from or to lock the tool off for transport and storage. The speed control features a full variable trigger and speed lock that is activated or deactivated with the push of a button. 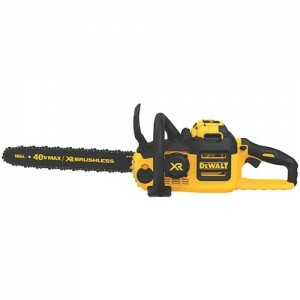 The 40v Max Brushless Chainsaw is equipped with a motor that achieves up to 100 cuts per charge using a DCB406 40v Max 6.0 Ah lithium ion battery and up to 70 cuts using a DCB404 40v Max 4.0 Ah lithium ion battery, both on 6×6 inch pressure-treated pine wood. The unit features a low kickback 16-inch Oregon bar and chain with LubriLink and LubriWell auto-oiling. It also features a tool-free tensioning system designed for quick bar and chain adjustments.